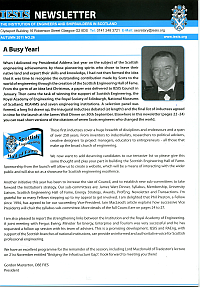 Each year, IESIS publishes a Newsletter that is mailed to all members. It contains a mix of opinion pieces, a review of the past year and news of the current session's plans. You are welcome to download copies by right-clicking on the links for a PDF document, choosing "Save Link As" and deciding in which folder you want to store it. The files are quite large and will take time to download.